Dip a clean, wet toothbrush into the powdered charchol to create charcoal toothpaste. Charcoal tooth whitening is the most natural way to remove toxins from the teeth enamel and gums, which can lift stains from your teeth and leave you with a whiter smile. This is a natural option to other commercial teeth whitening toothpastes that may contain chemicals and/or fluoride or as an at-home more affordable alternative to professional teeth whitening treatment. 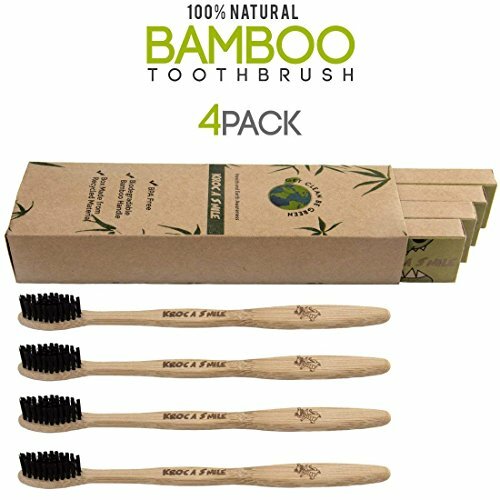 GO GREEN: Our Organic Bamboo, infused with Charcoal brush are packaged in 100% Biodegradable and Compostable Recycled Material. 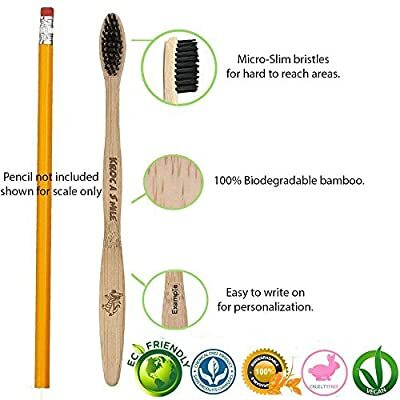 Help earth by using our Environmentally Friendly Toothbrush. 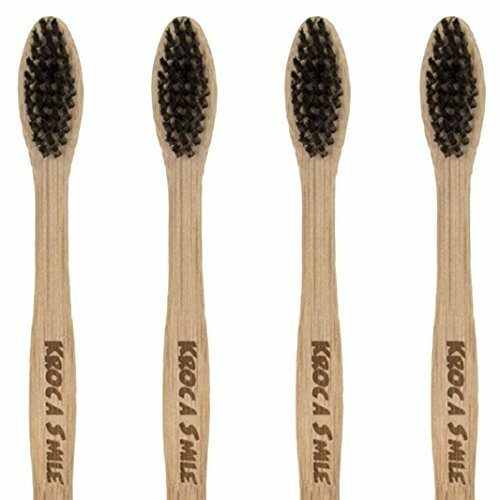 PERFECT DESIGN: Our wooded toothbrush head and Micro Slim Nylon Fiber Bristles have been designed to reach deep in between the teeth and gum line. Our Ergonomic Handle Design is easy to hold, making it a great toothbrush for kids, teens and adults. SAFE TO USE: Created BPA Free, Phthalate Free and PVC Free. 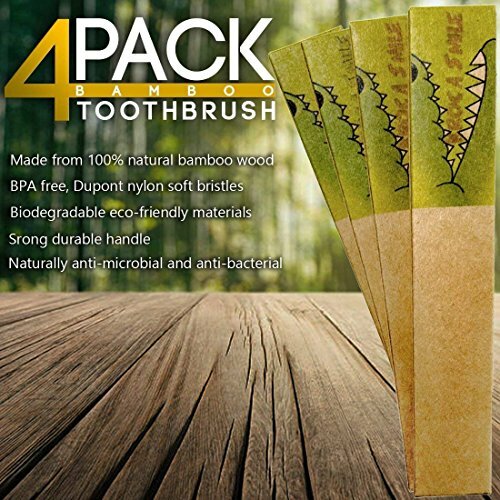 Great to use with Organic Toothpaste. 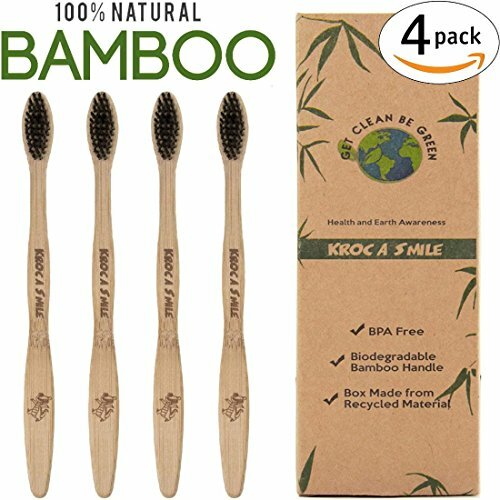 ACTIVATED CHARCOAL TEETH WHITENING: Paired with your favorite charcoal toothpaste, our Natural Bamboo Toothbrush Soft Bristles help remove bacteria and dyes by polishing your teeth and strengthening your enamel to give you a healthy smile. 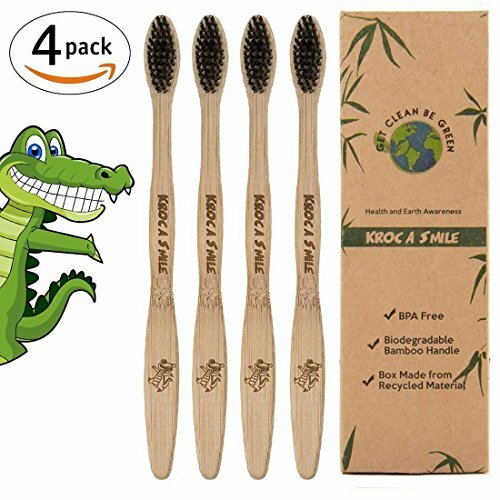 PACKAGE INCLUDES: 4 x Pack Bamboo Toothbrushes Medium Bristles (Individually packaged, one toothbrush per family member).